A. Christ sits in heaven at the right hand of the Father, making intercession for the saints. Forty days after Jesus rose from the dead He ascended back into heaven. His absence from earth made way for the Holy Spirit to indwell believers, so Jesus told His disciples it was good that He left (John 16:7). When Jesus left He didn’t retire to South Florida, nor did He go to heaven to twiddle His thumbs and wait for the rapture. He is busy today sitting at the right hand of the Father, serving as our advocate. Romans 8:34 says Jesus, “indeed is interceding for us (also see Hebrews 7:25).” This work of intercession means Jesus speaks to God on our behalf. This is comparable to the role of a defense attorney. Why do we need an attorney? Because there is a prosecutor bringing horrible charges against us, and unfortunately, the charges are all true. Revelation 12:10 says Satan is “the accuser of the brethren” who has been accusing us “day and night.” Just as Satan tried to do with Job, he is constantly telling God about all the bad things we have done. Since the enemy is a prosecutor, Jesus serves as our defense. In 1 John 1:21 the apostle wrote, “Little children, I am writing these things unto you so that you do not sin. But if anyone does sin, we have an advocate with the Father, Jesus Christ the righteous.” Satan tells God how bad we are, but Jesus tells God how righteous He is. Our salvation is not based on our righteousness, but on the fact that we are trusting in the righteousness of Christ. We will not see Jesus until the rapture or our judgment, but until then He sees us, and He ever lives to make intercession for us. Thank God for a righteous advocate to speak in our defense! I want to let you know about the Pain-Capable Unborn Child Protection Act. This proposed legislation would protect from abortion all unborn children who are capable of feeling pain. There is substantial medical evidence that demonstrates the ability of unborn children to feel pain from at least 20 weeks after conception. 1. By 20 weeks after fertilization all the physical structures necessary to experience pain have developed. 2. Unborn children react to painful stimuli, and their hormonal reactions consistent with pain can be measured. 3. For the purpose of surgery with unborn children, fetal anesthesia is routinely administered. 4. Abortion methods used on babies are painful. 1. 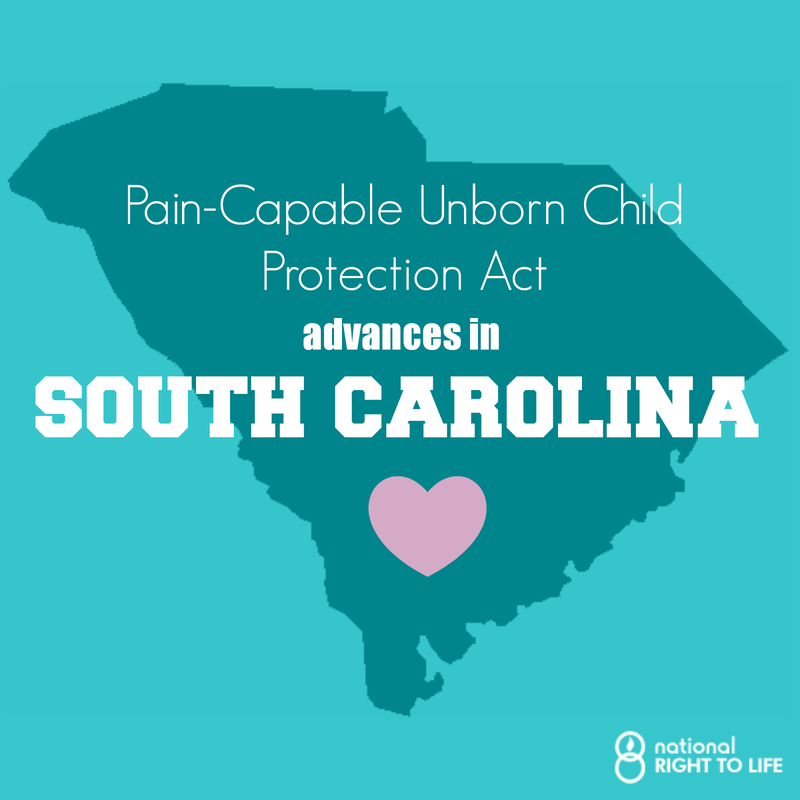 10 states have passed the Pain-Capable Unborn Child Protection Act. 2. Last year South Carolina’s House of Representatives passed the bill, but it died in the Senate when the clock ran out. 3. This year the bill as been introduced to the Senate first, and if passed, is almost guaranteed passage in the House. 1. Write to your Senator and urge him to support this bill. Included here is a template that can be used, along with contact information for your Senator. (Letters are better than emails) We want the Senate to make this bill their first priority so that it has time to clear the House as well. 2. Spread the word. This is a grassroots movement, and the more support, the better. Forward this post to anyone who make take the time to write a letter. 3. Pray. There will be opposition and political tactics from pro-abortionists in Columbia. Pray for this bill’s passage. Like me, you probably wish for a bill that states life begins at conception. If that bill were up for vote I would be urging you to support it. But that bill is not up for vote, and this one is. To ignore this because it is not as good as we want would be a shame; any child aborted after 20 weeks could have been saved. This bill is important for reasons other than banning abortions after 20 weeks. For one thing, the law can be amended as often as the science shows the unborn are pain-capable from an earlier age; if next year we can prove it is 18 weeks instead of 20, it can be changed to an 18 week ban, but that cannot happen if this bill isn’t passed. The other reason this bill is important is it will be the first law to recognize the rights of the unborn. 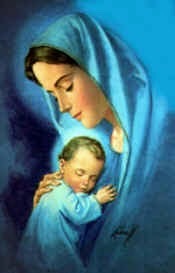 Until now children only have legal rights when they are born, and the laws are designed to protect the mother. This bill is a major foot in the door, and a big step towards making a “life begins at conception” bill possible. Thank you. My name is _______________________, and I live in __________________. I am writing to you in regards to the Pain-Capable Unborn Child Protection Act. As I’m sure you know, this bill was passed in the House, but never made it anywhere in the Senate before the legislative session expired. We are wanting to see this bill pass the Senate as soon as possible and the go to the House. We are asking for this bill to receive your utmost attention, and for you to do everything in your power to help it pass. Would you be willing to sign your name as a co-sponsor and do all that you can do to fight for the unborn? Thank you for your help. Q. Will believers be judged when they die? A. Believers will stand in the Bema Seat, a place of rewards and loss of rewards. When believers die they will stand before the Lord in judgment. Hebrews 9:27 says, “it is appointed unto men to die once, and after this the judgment.” Before we enter heaven we will face the Lord in judgment. 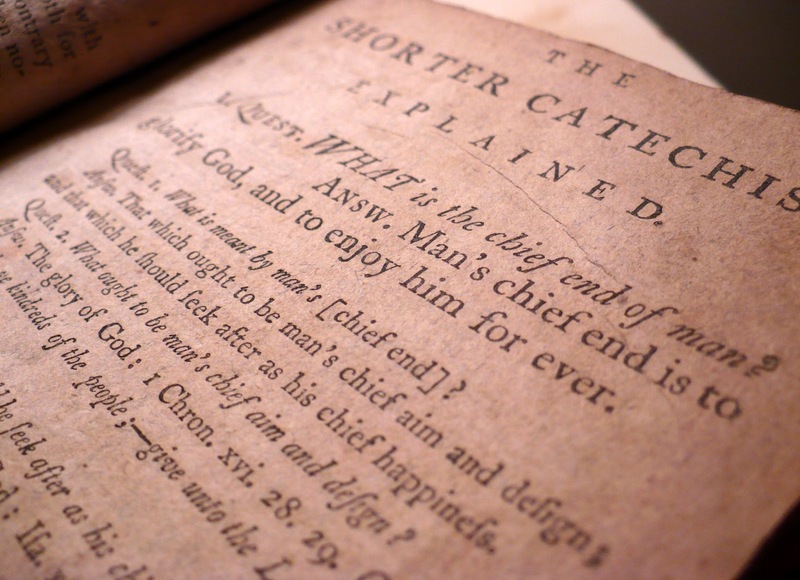 There is, however, more to the believer’s judgment than just admittance into heaven. The Bible speaks of rewards that will be bestowed upon believers for their work on earth. There are five crowns recorded in the New Testament that will be given out for different reasons, and these crowns will eventually be cast at the feet of Jesus in worship (Revelation 4:10). The Greek work used for judgment is bema, which referred to the place where the judge stood to watch the Olympic games. From his platform the judge could see who finished first, second, etc., and give out awards accordingly. The winner would step up onto the bema to receive his prize. The primary picture painted by Paul, then, is one of rewards. This judgment will also be a time when we give an account of how we used our spiritual gifts (2 Corinthians 5:10). The Holy Spirit has given us all abilities that are to be used to win the lost and minister to the saved, and our performance will result either in rewards or in reduction of rewards. Because of this, and knowing the fear of the Lord, 2 Corinthians 5:11 says we must “persuade men.” We must do our best to tell the world about Christ before it is too late. The believer’s judgment should serve as a motivating factor in our lives. We should strive for the rewards available to us, while also understanding that we will have to give an account of how we used our talents (Matthew 25:14-30).